Break away from the ordinary with a dining table that complements any dining room's décor -- the Aldo Round Dining Table from Moe's Home Collection. This dining table is sure to grab any guest's attention, as it features an ultra stylish round tabletop. Plus, the table is crafted from solid American Walnut, ensuring it will maintain its quality for years to come. 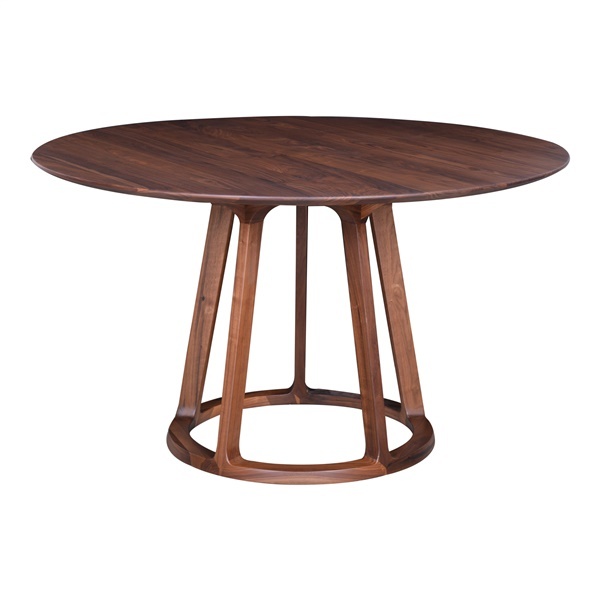 Enjoy a beautiful table that matches both modern and traditional dining spaces -- the Aldo Round Dining Table.